Main house has large kitchen/dining area open onto terrace with views of the Mediterranean from Cap Ferrat to Cap d'Antibes. Small salon with half bath, upstairs bedroom with twins or queen bed and bathroom. 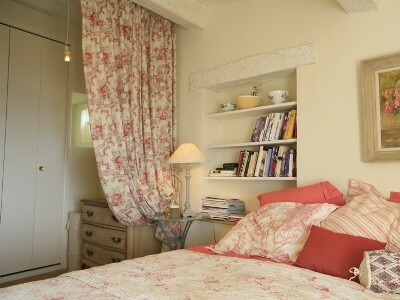 Guest cottage has double bedroom and bath. Garden has flowers, lavender beds, olive, apricot, cherry and persimmon trees. 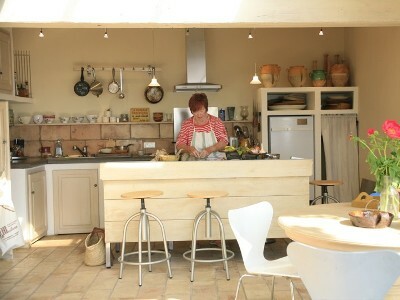 The house is sheltered under the soaring cliff of the Baou de St Jeannet. Rare to find a small, charming house that is not part of another property. Sleeps four with a possible extra on the sofa bed in the salon. Ideal for one or two couples, not very suitable for very small children. Private car park is 150 metres below the house, with a steep path up to the house; not wheelchair accessible. It's very easy to spend a whole week at the house and in the village, not venturing forth, just enjoying the village and the view. 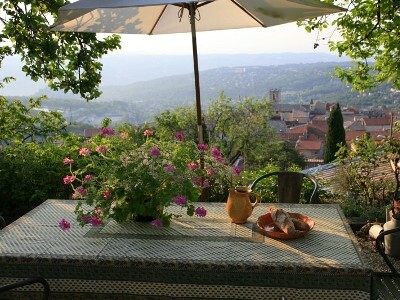 However, Cote d'Azur is a short drive away - or buses to Vence and Nice. 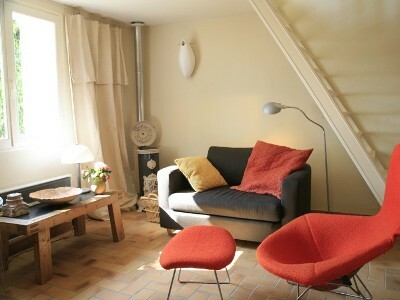 Weekly rate of 1200 euros includes both house and guest cottage. Property can be rented for 200 Euro less per week(1000) if tenant does not require use of cottage. A security deposit of 500 Euro is required to reserve, returned at end of tenancy if no damage. Rental amount is due 60 days before tenancy. 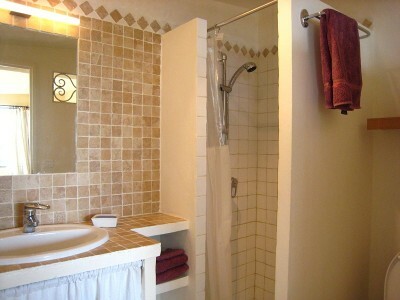 Linens and cleaning before and after tenancy included.